Friends Monthly Book Sale - 11 AM - 1:00 PM. In addition to a huge selection of used books, the Friends will be selling advanced copies of "Quiet Defiance: Alaska's Empty Chair Story". 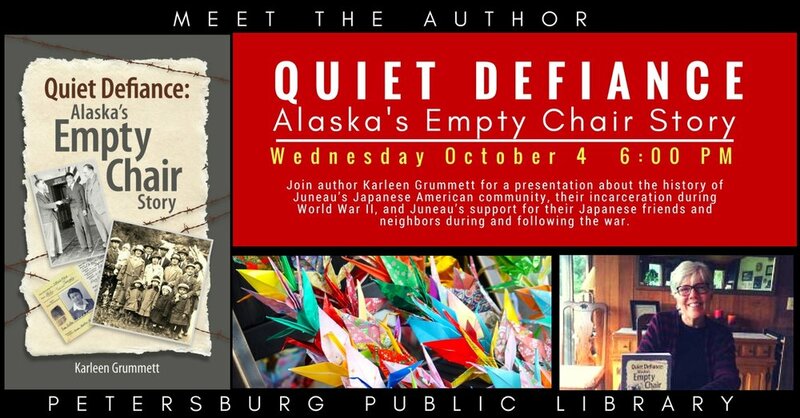 Author Karleen Grummett will be at the library October 4 to talk about the history of Juneau’s Japanese American community, their incarceration during World War II, and Juneau’s support for their Japanese friends and neighbors during and following the war. 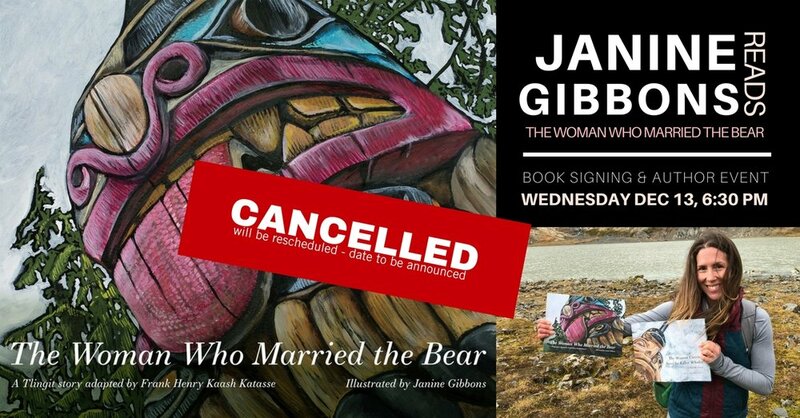 Copies of the book are available at the library starting Sat Sept 2 for $7.95. All proceeds support Petersburg's libraries. Jane Maufe & David Cowper from the expedition vessel Polar Bound, currently moored in North Harbor, will present a slideshow and talk about book Jane wrote of their travels through the Northwest Passage Wednesday July 12 at 6:00 PM in the Community Room.